-Chiropractors (and other licensed disciplines) make gains under Federal Employee Health Benefits via BCBS on Section 2706 "Non-Discrimination in Health Care"
-Data on A4M the evolution of "anti-aging medicine"
Chiropractors (and other licensed disciplines) make gains under Federal Employee Health Benefits via BCBS on Section 2706 "Non-Discrimination in Health Care"
In a December 20, 2013 release (ACA advocacy results in DC's expansion of coverage under BCBS Federal Employees Program), The American Chiropractic Association shared that "doctors of chiropractic will be listed equally with other types of physicians and will no longer have any limitations attached to their definition of physician under the 2014 Blue Cross and Blue Shield (BCBS) Service Benefit Plan, as authorized by the Federal Employees Health Benefits (FEHB) law." The release noted that effective Jan. 1, 2014, BCBS Federal Employee Program (FEP) has will "now cover any licensed medical practitioner for covered services performed within the scope of that license, as required by Section 2706(a) of the Public Health Service Act (PHSA)." In addition: "Benefits for chiropractic care are no longer limited to one office visit and one set of X-rays per year." Coverage for those services will be based upon "the benefits we provide for office visits and ... for our coverage of radiological services performed by covered professional." Comment: That this is based on Section 2706, Non-Discrimination in Health Care, of the Affordable Care Act suggests that there are similar implications for other licensed disciplines that have not, in the past, been included. More on responses from these disciplines as I learn more. On reading of the Blue Cross Blue Shield association direction regarding Federal Employee Health Benefits and Section 2706 (Non-Discrimination in Health Care), I invited comments, for the record, from leading policy figures from the other licensed integrative health and medicine disciplines. Jud Richland, MPH, is the CEO of the American Association of Naturopathic Physicians. This was his useful reply: "Thanks for sharing this. We've actually been discussing this for a while and trying to figure out what it means. I have a couple of thoughts. My overall reaction is that, in general, this helps establish a great precedent for other plans to follow. The flip side, like so much, is that the devil is in the details. Richland continued: "In defining physicians, BCBS basically stuck with the Medicare definition of physician, which doesn't include naturopathic physicians. The plan also refers to ‘Other Covered Health Care Professionals.' It says "Professionals such as the medical practitioners listed below, when they provide covered services and meet the state's applicable licensing or certification requirements...' It includes a long list of other professionals, but not NDs or, for that matter, acupuncturists or massage therapists. It does include certified midwives. It looks like the key is ‘such as." I certainly don't see any reason CAM practitioners wouldn't be included. In addition: "Having said that, we've searched the plan's provider directory and haven't been able to find any NDs. Maybe at some point they'll add NDs to their network of preferred providers. Possibly (hopefully), they'll immediately be covering services delivered by all types of out of network, licensed providers." Richland concluded: "One last thought... it's interesting that this is included in the federal BCBS plan. It's not clear to me that FEHBP plans are required to comply with Section 2706 (I could be wrong about this), so I'm not sure if BCBS is doing this because they think they have to or for other reasons." Comment: While the platitude is that healthcare is local, and regulated by states, Richland's comment on Medicare's definition pf "physician" - which excludes "naturopathic physicians" - is an example of federal intrusion over-throwing this frequently repeated fiction. As is clear in this paper on naturopathic physicians and primary care, they are not only typically considered "physicians" in states where they are licensed. They are also explicitly considered primary care in more than half. Since 2006, on or about each winter Solstice, I have saluted the coming of the light with publication of The Integrator Top 10 for the previous year. The 2013 iteration begins with the battle over civilizing US health care through "non discrimination" and ends with a salute to the end of year emergence of something operating under the working title of "The Academy." (See The Coming of the Light: The Integrator Top 10 for Policy and Action in Integrative Health and Medicine for 2013.) Between these, research surprises, some sterling appointments by individuals, advances of select professions, and some ways that individuals associated with this movements are shaping the mainstream dialogue via the values, practices and disciplines associated with integrative health and medicine. Since 2011, these have also been published via the Huffington Post. Links to past lists are here and at the bottom of this posting. Together these chronicle eight years of policy and action in this popular movement. This column was first published here at the Huffington Post. Related end of 2013 lists: Here are the Top 5 Articles for 2013 via Integrative Practitioner, a list of 11 stories for the naturopathic profession from the American Association on Naturopathic Physicians, plus a Reiki Year-End Report from Pamela Miles and the Top 10 American Public Health Association via Public Health Newswire. In a recent electronic exchange with Integrator advisers and fellow writers on integrative health topics Taylor Walsh and Glenn Sabin, we explored a key question relative to the Patient Centered Outcomes Research Institute (PCORI). Sabin wondered whether "anyone is writing on what's been earmarked to integrative health investigators and designs in recent award announcements ... and if the early promise of PCORI to support IM whole systems based designs looking at outcomes of effectiveness and cost has been realized at some level?" Walsh engaged a review and reported: "I find only this, on page 37, under 'Addressing Disparities' in the Sept. 10 announcement: Paula Gardiner MPH, MD, BOSTON MEDICAL CENTER, Integrative Medicine Group Visits: A Patient-Centered Approach to Reducing Chronic Pain and Depression in a Disparate Urban Population. I find nothing in the Dec. 17 awards." "This is what I am finding as I build the clinic and business model for a very large orthopedic surgery practice in Florida. Reimbursements vary across the country based on the deal made between the payer and provider. CMS varies some as well across the country. So my focus is on MSK-musculoskeletal-for this client." Sabin continued: "There are numerous ways to approach group clinic visits. If you have enough patients and can achieve economies of scale, the reimbursements can work OK for primary care. Not so much for more highly compensated specialists, i.e., orthopedic surgeons. Have found nothing re: group acupuncture, but even at self-pay it would seem to work well economically for both pt and practitioner." Sabin then provided these specific details: Group Clinical Visits Focused on lifestyle/pre-surgical; co-morbidities: diabetes, heart disease, obesity, hypertension. Medicare: $0 (no guidelines or fee schedules); Private Insurance: $14 CPT 99078; no time published (BCBS (counseling and education by a physician to a group) physician or otherwise certified provider (RD, RN, PA) with training in group settings. Scribe needs to be in room during sessions; Medical Nutrition Therapy-Group (CPT 97804; RD led); Medicare: $15.62 per person, per 30 min session, Private Insurance: $14.74 (BCBS); and Exercise Counseling: Group (CPT 99411: 30 min; 99412: 60 min) Medicare: No fee schedule or guidelines available Private Insurance: $16.58 (11); $22.20 (12) (BCBS; no coverage guidelines available). Sabin also noted that he has been exploring the work of the "guru of group visits" Ed Nofsinger, PhD, the former Kaiser lead in developing group services in an HMO environment. Related post: Sabin recently posted The Best Clinic and Business Model for Integrative Medicine on his FON Therapeutics site. Comment: Great details, if evidence to date suggests that they are clearly under-appreciated for their potential value to meeting the Triple Aim. Notably, the single integrative health and medicine PCORI grant reported by Taylor Walsh, above, is for integrative medicine group visits. A good sign. An important pilot project for Triple Aim outcomes of integrative care, the University of Arizona Integrative Health Center, in Phoenix, has partnered with a top-flight research team to design and capture outcomes. Sally Dodds, PhD, and Patricia Herman, ND, PhD, are the team leaders. One unusual outcome of this partnership is the publication of methods to test "fidelity" of their model. The paper is entitled When a Whole Practice Model Is the Intervention: Developing Fidelity Evaluation Components Using Program Theory-Driven Science for an Integrative Medicine Primary Care Clinic. The authors note that the 2009 Institute of Medicine Summit on Integrative Medicine and the Health of the Public called on researchers to "move beyond evaluation of CM therapies toward studies of integrative healthcare systems." The Center's clinical inputs "combine disease management, prevention, and health promotion by attending to the prevention or treatment of acute and chronic illnesses while emphasizing reduction of modifiable risk factors." These are engaged via a range of practitioners: integrative medicine-trained family physicians and a physician assistant, nurses, an acupuncturist for traditional Chinese medicine, a chiropractor for manual medicine, a behavioral health clinician for mind-body medicine, a nutritionist, and a health coach. In addition, complicating the evaluation, the Center is financed "by a hybrid revenue structure combining health insurance reimbursement with membership fees paid by patients and/or employer contributions." Comment: The integrative medicine and health community needs to be invested, deeply, in this kind of thinking and practice. This article partners nicely with the piece below on "mixed methods" studies and with Bradley's critique of the un-real simplicity in NCCAM's summary execution of dietary supplements as of any value to people with diabetes. One most relish the brilliance of the title: When a Whole Practice Model is the Intervention. When will the members of the Advisory Council on Complementary and Alternative Medicine begin to realize that engaging the methods, program, funding and review issues associated with this reality of integrative care is their fundamental responsibility? On November 15, 2013, the NIH NCCAM issued a Clinical Digest on Type 2 Diabetes and Dietary Supplements which concluded that "Overall, there is not enough scientific evidence to show that any dietary supplement can help manage or prevent type 2 diabetes" and that "there is no strong evidence that any herbal supplement can help to control diabetes or its complications." Because supplements are routinely utilized by integrative practitioners of all kinds in working with people with diabetes, I asked clinician-researcher and whole person care expert for people with diabetes Ryan Bradley, ND, MPH, for his perspective. Bradley is the former director of the Center for Diabetes and Cardiovascular Wellness at Bastyr University and the author of the exceptional whole-practice Adjunctive Naturopathic Care for Type II Diabetes: Patient-Reported and Clinical Outcomes after One Year. After commenting on NCCAM's "overly simplified" and "reductionist" perspective, Bradley challenged their citations on magnesium and more generally the assumption that the population is getting a sufficient level of dietary nutrients through food. He writes, for instance, that the NCCAM statement that "there is no evidence from clinical trials that magnesium is beneficial in managing diabetes in the absence of magnesium deficiency ... downplays the importance of magnesium generally without citing the statistic that 48% of the general US population consumes less than the recommended intake of magnesium in the diet." Bradley's useful comments are published in full in The Integrator as Ryan Bradley, ND, MPH Challenges NCCAM's Dismissal of Dietary Supplements for Treatment of People with Diabetes. Comment: First, kudos to Bradley for speaking his voice directly, in earshot of the NIH, on a hot topic issue. The failure of the NIH to work in earnest to bridge the gap between their drug-induced reductionism and the whole person thinking Bradley represents is an immense barrier to our learning about whether or not supplements may, in fact, be part of the solution for people with diabetes. US Senator Harkin and his colleagues directed NCCAM to examine real world complementary and alternative medicine "modalities, systems and disciplines" in Section C of the NCCAM mandate. In a world in which the NIH seeks proactively to fulfill on this Congressional intent, significant dollars would be looking at the real world of integrative practice for people with this condition. We have multiple examinations of whether the populations of people with diabetes are positively or negatively impacted by using the kind of whole person care that typically includes supplements. Bradley's own mixed methods research with Dan Cherkin, PhD and others provides interesting evidence that there may be significant value to human health here. This is particular clear when one considers the remarkable impact of this treatment as shown in a follow-up paper from Erica Oberg, ND, MPH, Braley, Cherkin and others published on the patient experience of this form of treatment. Best bet is that the public health suffers from NCCAM's greater adherence to its own reductionism than examining these in the real-world context of integrative practice. "Quantitative research methods have long dominated conventional medical research: randomised clinical trials (RCTs) produce the highest levels of evidence and occupy the pinnacle of methods hierarchies. In complementary and alternative medicine (CAM) research RCTs and methods hierarchies are more contentious, not least due to perceived fundamental differences between CAM and biomedicine. Unlike new pharmaceutical therapies CAM is already being provided, practiced, and used in the community; many CAMs are best conceptualized as multifactorial complex interventions; CAMs can have diverse and unanticipated effects on people; and the underlying mechanisms of many CAMs are still being researched. These characteristics of CAM (a) make it difficult to design good clinical trials and (b) emphasise the need to understand patients' perspectives. CAM methodologists have thus called for greater plurality in research methods in general and more use of qualitative research methods in particular. Comment: The most significant conclusion from this study is that researchers in integrative health fields are effectively a colonized bunch: speaking and formulating their truths in a language and practice never meant for their culture. What is remarkable is that this low percentage is not of the "CAM" studies that made it into the journals of the colonizing system of reductive medicine. These are in "our journals." When will our editors and our researchers begin prioritizing the work that is best suited to capturing the value of whole-person, individualized interventions? When will our teachers of methods put mixed methods in the center of attention? When will we realize that the Triple Aim era in which we live demands mixed methods? This finding of 4% is a dismaying indicator of the lack of self-esteem in our fields. Credit the British team of Felicity L. Bishop and Michelle M. Holmes for highlighting these deficits and areas of necessary attention. The Institute for Integrative Health (TIIH), led by Brian Berman, MD and Sue Berman, has received a $1 million grant from the TKF Foundation "to create an outdoor healing space and study its impact on wounded warriors who spend time there." Titled the "Green Road Project", the initiative will, according to this TIIH newsletter, "turn a swath of woodland into an oasis of respite on the campus of Naval Support Activity Bethesda, home of Walter Reed National Military Medical Center." States Berman: "While helping service members and their families restore their bodies, minds and spirits, the Green Road Project aims to expand the evidence base for using the natural environment as a tool for healing." Fred Foote, MD, is the TIIH scholar who conceived the Green Road Project. He notes that "holistic therapies, such as art-making and encounters with nature, aren't fully accepted because scientists haven't had a way to measure their effects, but that's changing." He expects that by 2016, the team will have "prove(d) by direct measurement that exposure to nature can heal the human body." The projects array of collaborators include: Consortium for Health and Military Performance at the Uniformed Services University of the Health Sciences (Department of Defense), NIH Clinical Center's Pain and Palliative Care Service, and the University of Arizona Institute on Place and Wellbeing (comprised of the Arizona Center for Integrative Medicine, College of Medicine, and the UA College of Architecture, Planning and Landscape Architecture, University of Arizona at Tucson. Funds for this project were provided by the TKF Foundation as part of the National Open Spaces Sacred Places Initiative. One of the most significant players in national policy for integrative health and medicine is Janet Kahn, PhD. Kahn is also a well-respected researcher and a massage therapist. Kahn's receipt of the electronic push for The Integrator Blog New & Reports #118 stimulated this response: "I just read your opening paragraph in today's Blog and was struck by your purposeful exclusion of massage from your list of practitioners who relieve [primary care practice] burden. Given the role of massage in treatment of acute and chronic musculoskeletal pain, it seems an odd choice. Please explain your thinking." Kahn continued: "My own sense is that some, but not many, PCPs do recognize the value of therapeutic massage for pain relief and refer for it. But that doesn't make a huge difference in the overall picture since there is still virtually no compensation for it for that purpose - absent a motor vehicle or worker's compensation claim. I am not arguing at all, that MTs should think of ourselves as PCPs. We are not. We do not have that training, and our scope does not approach that. 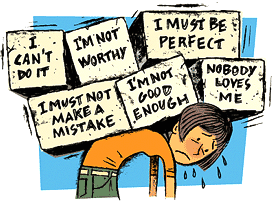 Still, we relieve the burden on PCPs when people decide to come to us with their pain rather than (or after) seeing their PCP whose approach to pain management is too often still pharmaceutical. Kahn spoke to some patient's perceptions that she is their primary: "I have also had clients tell me that they think of me as their PCP (meaning I am primary to them), and I am very careful to tell them that I am not. This includes one client who comes to mind who told me she was weaning herself off her anti-depressants because of our treatments. I was very clear to her that she should not embark on that alone (or with me, since I was not trained thus not available for that) and that she should immediately call her prescriber and arrange for a consult on how they would do that together. So, please do not leave MTs out of PCP discussions as there is much that PCPs, insurers and MTs need to collaborate on to make sure people are getting the best care they can." Comment: A point well-made and well-taken. Kahn invited an explanation. I wrote in that Integrator push, first: "When will US workforce planners realize that the 375,000 licensed practitioners in the integrative health and medicine movement are daily relieving the burden on the primary care system?" This number purposefully includes massage therapists - some 265,000 of the total. Then I added: "When will they start actively exploring the optimal contributions of these professionals - particularly the 110,000 doctors of chiropractic and naturopathic medicine, practitioners of acupuncture and Oriental medicine and direct-entry midwives?" My distinction here is that each of these 4 categories of licensed providers has a tradition as primary care (though primary care for the birth process in the case of the certified professional midwives). Politically, there is enough button-pushing to get these 4 to the table in a coveted "primary care" role without asking the American Academy of Family Physicians to open themselves to considering massage therapists as part of the primary care workforce as well. Where Kahn's points are best taken is in the concept of the idealistic "medical home" that actually features "team care" and "interprofessional practice" via an environment in which there is "non-discrimination in health care." Yes, massage therapists are daily relieving the burden on the formal primary care workforce. This formal workforce, and the policy leaders guiding its development, would do well to explore using massage therapists - and the others - to maximum Triple Aim advantage. Ian Koebner, MSc, MAOM, LAc, the acupuncturist associated with the interprofessional Division of Pain Medicine at UC Davis that recently published pain treatment "competencies relevant to all health care professionals", shares the announcement of the Integrative Health for Pain Relief Conference, that will take place April 3-6, 2014 in Maui, HI. Focus will be "on integrative approaches to pain relief." Koebner is the director of Integrative Pain Medicine, and a clinical instructor in the Department of Anesthesiology and Pain Medicine, University of California, Davis School of Medicine. This monthly Integrator feature reflects a quick capture of highlights from the multitude for links that flow in daily via Google Alerts for "integrative medicine," "complementary and alternative medicine" and "alternative medicine." While my focus is on integrative medicine in health systems (and related media), the later search term nets developments from around the world that I began to share for November 2013. The December 2013 issue includes 8 selections for from the integrative medicine (plus related media) and 9 international. Features included interviews with former NCCAM deputy director Margaret Chesney, PhD, the incoming chair of the Consortium of Academic Health Centers for Integrative Medicine, and debate over a recent scientific paper on the value of ear acupuncture in weight loss. Internationally, an Indian governmental body urged against "commercialization" of traditional practices for fear cost will rise and the Thai government is taking steps to open new markets for Thai herbs. In a recent release, New York Chiropractic College (NYCC) announced that it will be Affiliated with VA Residencies at Two of Five Selected VA Facilities The historic, "full-time, year-round, paid chiropractic residency program" is slated to begin this coming July 2014. The annual salaries will range between $36,000 and $43,000 (based on geographic location). Elements will include: clinical educational rotations through such services as primary care, medical or surgical specialties, mental health, and rehabilitation disciplines; participation in a variety of scholarly activities; and "giving and attending academic and research presentations at the VA facility and its affiliates." NYCC Paul Dougherty, DC and Andy Dunn, DC will mentor residents under the NYCC program. The program is administered nationally by VA's Office of Academic Affiliations and locally by the individual VA facility. In addition, the residency programs will enjoy the benefit of a VA facility affiliation with the only Council on Chiropractic Education (CCE) accredited chiropractic schools. The story in the December 13, 2013 issue of the Chronicle of Higher Education was entitled "Chiropractic Accreditor Gets Federal Panel's Approval, Despite Protest." The article recounted the saga of the very public battle inside of the chiropractic field over the future of chiropractic. The writer captured the five hours of testimony, in part, this way: "Both critics and supporters of the Council on Chiropractic Education's practices spoke at Thursday's hearing. The complaints largely center on charges that the accreditor is pushing chiropractic care away from its traditions of manipulating the spine and toward treatments that might be handled by other medical professionals, including performing minor surgery and prescribing some medicines." Then: "Dozens of speakers, mostly students and professional practitioners, had signed up to oppose the accreditor, which is the only agency approved to set standards for chiropractic programs. An institution or program must be accredited by a federally recognized accreditor in order for its students to receive federal grants or student loans." On the vote: "Several members of the advisory panel, however, said the dispute was a philosophical and professional disagreement outside their jurisdiction. Of the 14 panel members who were present, only three voted not to accept the Education Department's recommendation." Comment: The story reminds me of the picture of the hapless fellow, out on a limb, busy sawing at a section of the branch that is connecting his perch to the trunk of a tree. One wonders if the students and practitioners who spoke truly wanted to create the chaos in chiropractic education that removal of access to student loans would have produced. The response of the protesters to the concern about moving away from chiropractic's traditions is, essentially, to break its knee-caps. This feels like the kind of scorched earth polarization that infects national policy. Here's hoping that all the students and doctors of chiropractic can begin to live with an acceptance of the actual pluralism in their field. It's there. It's real. It isn't changing. Futurist Clement Bezold, PhD gave the field guidance on this March 2014 in his keynote for the Association of Chiropractic Colleges-Research Agenda Conference. He no longer called for unity in the field. He called for co-habitation. The blog posting from the Southwest College of Naturopathic Medicine (SCNM) opens like this: "The chance to transform a college comes along once in a generation! A 47,000 square foot addition to our Tempe Campus will house a teaching kitchen, healthy cafe, regenerative pain and rehabilitation center, expanded medicinary, state of the art classrooms and study space, exercise rooms and will expand our library four-fold!" According to Paul Mittman, ND, EdD, SCNM's president and CEO, this SCNM-designed building comes on the heels of record-level enrollment, expanding demand for clinical services, significant growth in a key public health/community medicine partnership, and with plans for expansion into new clinical initiatives and academic programs. SCNM is contracting with internationally-acclaimed healthcare designer Jain Malkin for interior design. On January 8, 2014, Mittman and SCNM are hosting their groundbreaking ceremony on the $9.7-million facility which is to be LEED certified. The institution, founded in 1993, presently offers just a naturopathic medical program, with growing student enrollment at between 400-450. Comment: Having has the opportunity to sit in on an early 1990 meeting when SCNM was a dream lifted by naturopathic doctors Michael and Kyle Cronin, Konrad Kail and others, I can only offer my deepest respect for what labors it has taken, by the founders, and since, during the Mittman presidency, to arrive at this moment. Congratulations! Here's to holding the line on construction costs! A December 20, 2013 note from Leslie Young, vice president for communications of the Associated Bodywork and Massage Professionals, provided an update entitled Coalition of National Massage Therapy Organizations Meets for Collaboration. Representatives from seven organizations that participate in the Coalition of National Massage Therapy Organizations met December 11, 2013 in Fort Lauderdale, Florida. Participants spent "five hours of constructive exchange" reacting to The Core: Entry-Level Massage Education Blueprint and a companion document, including discussion about project implementation. The documents will remain in draft form pending review by the boards of directors of the constituent organizations anticipated to take place in January 2014. Other priorities topics that were discussed were: [Commission on Massage Therapy Accreditation] COMTA research on the value of programmatic accreditation; a presentation of the Alliance for Massage Therapy Education's final report on Core Competencies for Massage Therapy Teachers; and a re-examination of the original Coalition priorities formed in September 2011, a discussion about professional entry examinations; and a COMTA/Alliance proposal for a 2015 joint educational congress. The following massage therapy organizations participate in the Coalition: Alliance for Massage Therapy Education (AFMTE), American Massage Therapy Association (AMTA), Associated Bodywork & Massage Professionals (ABMP), Commission on Massage Therapy Accreditation (COMTA), Federation of State Massage Therapy Boards (FSMTB), Massage Therapy Foundation (MTF) and National Certification Board for Therapeutic Massage & Bodywork (NCBTMB). The report on a June 2012 gathering is here. The Elsevier text that will grow out of the Foundations of Naturopathic Medicine Project, led by executive editor and project visionary Pamela Snider, ND and her executive editor team, is certainly the most highly anticipated book for the naturopathic medicine profession. Many believe that the reach and impact of this effort to "codify" naturopathic knowledge will flow beyond the profession's boundaries. Involved in this now 7-year old project is an international, multidisciplinary team of over 300 authors, plus a dozen agencies and institutions in the profession and a raft of sponsors. A December 2014 update shares that 99% of copy has been submitted, of which 75% has been through scientific review, and just over 50% medical editor review. The team is shooting for completion in 2014. A report from November 2014 meetings with key editors and authors shares post-publication plans including a Post-Doctoral Naturopathic Foundations Fellowship and Residency Program, and an online learning initiative. Some of the content is visible via a download of this Summary Book from the First International Editors Retreat. Comment: Via a close collegial relationship with Snider, I have observed the mushrooming and intriguing ambition of this project over the years of its development. The triple task of engaging something so basic as "codification" of her re-emerging discipline's concepts and practices, plus what Snider calls "integrating modern and traditional models and concepts with frontier science" while also herding scores upon scores of independent minded cats from multiple disciplines and bringing them toward a unified editorial voice - well, any one of these could make Hercules faint of heart. Here's hoping that 2014 will see this volume in Elsevier's hands - if for no other reason than to free up Snider as soon as possible for more active re-engagement in the policy and interprofessional work in which she also excels. 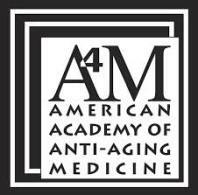 Data on A4M and the evolution of "anti-aging medicine"
An organization that by its "anti" name is directly opposed to a core tenet of much of integrative health and medicine practice is the "anti-aging medicine" movement led by the American Academy of Anti-Aging Medicine (A4M). The group recently completed its "21st Annual World Congress on Anti-Aging, Regenerative and Aesthetic Medicine." Their post-conference release boast of 3500 attendees and over 300 exhibitors. Of these, 500 attended "advanced education Fellowship modules" which were described only as "Modules I, V, XVI, XXII, XXIII, Integrative Cancer Therapy Module VIII and Sexual Health Certification Module." Among speakers well-known to the integrative health community was pioneer Jonathan Wright, MD. Among program titles: "Advances in Body Contouring" and "Testosterone Deficiency and Therapy in Men." The organization "offer(s) Board Certifications and Fellowship Training Programs in various disciplines ranging from anti-aging, regenerative and functional medicine to such disciplines as aesthetic medicine, skin cancer and stem cell therapy, in order to lead the industry by establishing best practice standards in these areas." Integrative medicine is the focal point of a new series of four, half-hour segments as part of the Humankind series, entitled The Search for Well-Being: Treating the whole person in the new healthcare era. The series is written and produced by David Freudberg. The focus is on both the practice and education in integrative medicine, through conversations with Brian Berman, MD, Victoria Maizes, MD and others. The non-MDs highlighted on the website are a nurse and an acupuncturist, plus three patients. The project was supported were by the Michele and David Mittelman Family Foundation and "a special grant from the Henry Luce Foundation." A recent newsletter for the UTS-Austrialian Research Center in Complementary and Integrative Medicine documents some of the expansive work and projects of this organization. Among these: a $350,000 award to examine complementary approaches in women's health; a $466,000 grant from the Chiropractors Association of Australia to examine the impact of chiropractic on the Australian health; a leadership program in CAIM research; increasing connections with other public health-integrative health parties internationally, including a grant from the Indonesian government to support research on traditional medicines in that country. Professor Jon Adams, PhD, who directs the program, recently delivered the Donna Feeley Memorial Lecture to the complementary and integrative health practices group of the American Public Health Association. Much of this news is reported via the organization's Facebook site. The U.S. Special Operations Command Patriot Award was recently granted to integrative psychiatrist Navy Capt. Robert Koffman, MD "for treating 68 Special Forces operators for traumatic brain injuries and psychological health conditions." The award was made by Navy Adm. William H. McRaven, the commander of U.S. Special Operations Command, in a ceremony in the Pentagon. Koffman is the senior consultant for integrative medicine and behavioral health at the National Intrepid Center of Excellence in Bethesda, Md. Koffman is quoted as saying that "the holistic care offered resonates with the Special Forces population, specifically the mixture of traditional medicine with integrative modalities." The former vice-chair of the National Certification Board for Therapeutic Massage and Bodywork (NCBTMB), Leena Guptha, DO, has taken over as the chair of the organization following the resignation, for personal reasons, of past chair Sue Toscano. Guptha has been a strong advocate of the organization's higher certification level announced in 2012. These include passing the board certification exam, 750 hours of education, 250 hours of hands-on work experience, completion of a criminal background check and a commitment to adhere to the NCB Code of Ethics and Standards of Practice. An interview with Guptha is here. 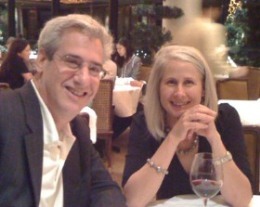 The Society for Integrative Oncology noted the death of one of its chief backers, philanthropist and activist Helen Moss, with a message to members which read, in part: "Moss' first cancer diagnosis of advanced breast cancer came in 2000. The same year that she founded the Helen Moss Cancer Research Foundation (formerly the Helen Moss Breast Cancer Research Foundation). Shortly after her diagnosis, Moss reached out to Memorial Sloan-Kettering Cancer Center's chief of Integrative Medicine Service, Barrie Cassileth, PhD. In 2004, Cassileth founded the Society for Integrative Oncology (SIO) where Moss became an active board member and benefactor of the organization." Moss is credited with "kick-starting" integrative oncology in the Cleveland area, and bringing NIH director Francis Collins, MD to an SIO conference there to keynote. The Philanthropy Now website of Charles B. Maclean, PhD lists him as "founder and committed listener." The Portland, Oregon-based consultant in the areas of philanthropy and social entrepreneurial work, Maclean was a consumer of integrative health and medicine who believed that these needed to be more accessible to average consumers. He was drawn to the movement. He worked closely with the "godmother of holistic medicine" Gladys McGarey, MD in her recent foray into national healthcare politics and as a consumer representative to a panel of the Institute for Health Improvement, founded by Don Berwick, MD. He had a fertile, synthetic mind and maintained an ongoing exchange with me over the years. His bio lists: Trustee, International Mankind Foundation. His business' mission: "Igniting Passion for Community Give-back." He will be missed.